Chamomile is bound to sun & water. It is used magically for money, sleep, love, peace, tranquility, and purification. To attract a lover, run a bath with a bag of Chamomile under the tap water, and wash body, face, and hair with the water. Also, use it in a bath for peace and tranquility when you are angry or hurt. Wash your hands or bathe in Chamomile if you are a gambler - it is said to increase your chances of winning. Place Chamomile in your pillow for peaceful sleep. 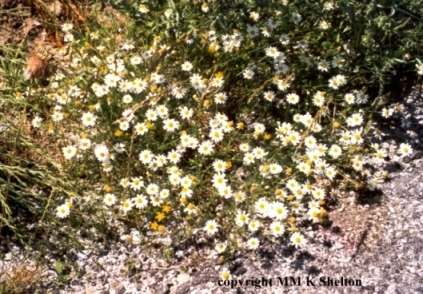 Use Chamomile to attract money by carrying with you in charms or burning in rituals. Sprinkle the dried flowers around your property to protect from spells or curses.